Music Submissions. They’re available everywhere but getting a station or program to play your music isn’t a walk in the park. Here’s how to know what to submit, what to leave out, and how to make your submission the most effective it can be. As you can see, we received a nice group of CDs in the mail for music submissions to The Appetizer Radio Show. I brought this group home so I could get an early listen before I hand some of them off to my writing team for potential review. My cat Brody was so into the new discs, he decided to show one set a little love like only a cat can. With such an interesting collection of submissions, there were a few standouts I can detect just from the way the mailer was done, before I’ve even cracked the disc open and popped it into my player. Also, there was at least one artist who sent something in that doesn’t reflect well for them (him, her, or group) in terms of getting any airplay or review feature. Because of these impressions, I want to share with you some very poignant lessons on what you absolutely must do when you send out CDs for submissions, and also what you should completely avoid. Following both of these lists, I have some more ways you can benefit from CD mailers and radio airplay. First thing to remember is that your music submission is a reflection of you as an artist and as a person. Make sure you represent yourself well. Here’s one of the biggest pieces of advice I could ever give you: ask what to send before you send it to radio stations, music blogs, or other submission media. Actually I’ll take it a step further. If you contact a radio station or program and ask just two questions instead of talking about how great your band is, you’re going to get a lot further a lot faster than 99% of unsigned and DIY artists. What are those two questions? The first question to ask is: Do you prefer submissions via email, link to music site, or hard copy discs? The second question is: What would you like me to include in the submission (press kit, one-sheet, other)? Here’s why these two questions are so important: You’re showing a station or music platform that you care about their preferences for submissions. This alone can endear you to a decision-maker because you’re asking “How can I give you something exactly the way you want to receive it?” The response from this kind of messaging is usually much better than the music submission emails those of us in the radio/music industry get. 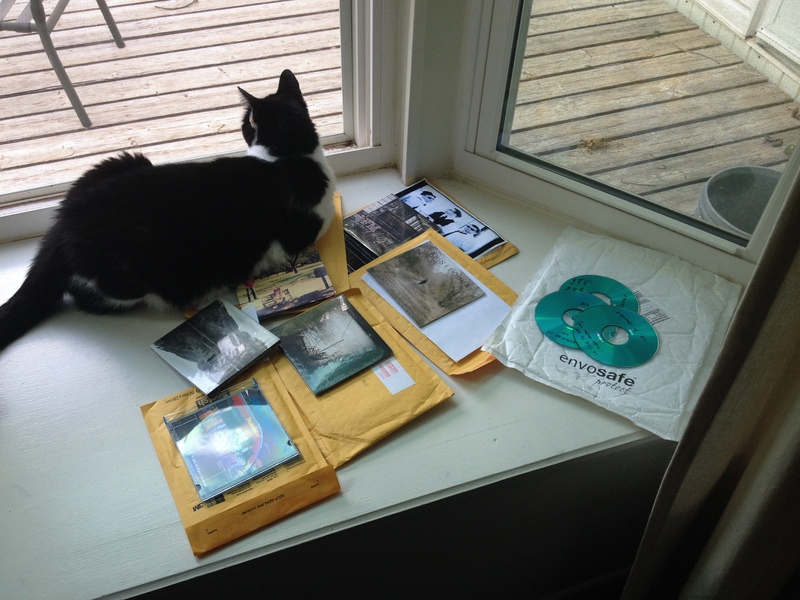 When you hear back from a station or music program that they want you to mail them a CD, there are a few other things to include in that mailing. As I mentioned earlier, you need to include at least a 1-sheet for your band. The document should include some information about you, who you sound like, what people are saying about you (a mix of reviews and comments from fans works well), and contact information. If anything, provide a way for the radio platform to contact you. You can also include a note to the station or to the radio contact who made the email response to you, that can be helpful in putting your name back on the radar with that individual, which can serve to endear you to them even more. Everything you do is a reflection of your art and your craft. This includes the CD mailing you make. Even if you’ve exchanged a few email or social media messages with a radio platform, you still need to present yourself in the most professional way you can. If you haven’t done a professionally mixed and pressed CD set, radio airplay might not be the thing for you to do yet. If you’re not selling hard copy discs at your shows or marketing a hard copy pressing of your music in some capacity, radio airplay won’t serve the best outcomes for your music. Yes, you may get a few spins here and there on a few stations. However, the end result you want from radio airplay is increased fan/audience growth and music purchases. If you want to get your music considered for radio airplay, don’t just mail in the CD disc only, with no protective case. It would be one thing if the CD had a printing on it so that anyone could tell who the disc was from. That might help a little, but not much. When you only mail a disc with no case, you’re telling the music/radio platform that you are just going through the motions because you have to, and that you really don’t care about your own product. Make sure the discs are protected from scratches, cracks or potentially breaking (we all have had bad experiences with bubble-wrapped envelopes not doing their job). Radio airplay is an essential piece to growing your audience, selling more music and playing better concerts and venues. Radio airplay is essential even in the age of streaming services like Pandora and Spotify. Email submissions of music often fail to get read, songs heard and get responded to. You can discover how to stand apart from every other artist and music promotion company by submitting music the right way. You can know the first steps you need to take to get yourself ready for radio airplay. You’ll also be able to walk through the right process of getting radio airplay. As you can see, not all artists are getting airplay, or getting the featured articles and blog posts written about their work that they seek (and that they need for growth). There is the way that 99% of artists do things and there is the way that 1% of artists do things. Which one do you think is the most successful? Do you know what the 1% of successful musicians do that works. Since this is such a mystery to so many DIY musicians, I created an online course that shows you exactly what steps to take to make airplay, reviews, interviews and media features a reality for you. Become one of the 1% of artists to get radio and media feature. Nowhere else will you get this kind of information, training, promotion system and strategy. Jump into the Indie Radio Promotion Course now!